After Jared Kushner was named Thursday as the "current White House official" under scrutiny about Russia, a statement from his lawyer suggested he has not been contacted by investigators. The lawyer, Jamie Gorelick, said: "Mr. Kushner previously volunteered to share with Congress what he knows about these meetings. He will do the same if he is contacted in connection with any other inquiry." Between the lines: The "if" suggests that hasn't happened. What's new? The WashPost says in the lead story of Friday's paper: "Kushner, who held meetings in December with the Russian ambassador and a banker from Moscow, is being investigated because of the extent and nature of his interactions with the Russians." Also per The Post: "[I]nvestigators are also looking broadly into possible financial crimes ... [P]eople familiar with the matter ... did not specify who or what was being examined." But, but, but ... 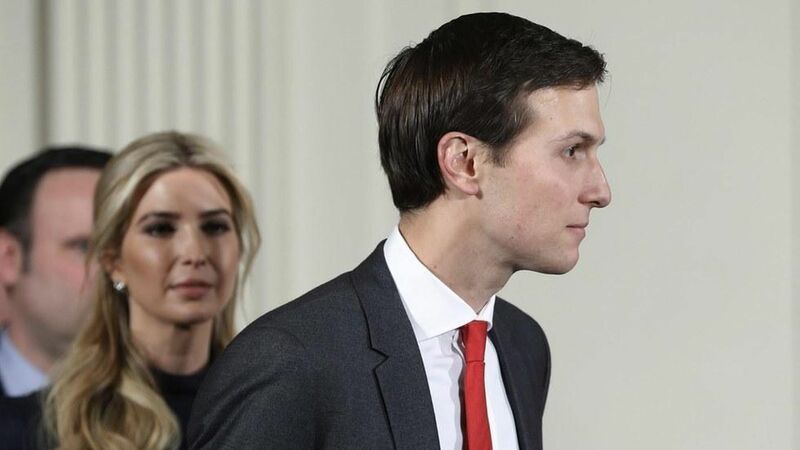 Per NBC: "[O]fficials said Kushner is in a different category from former Trump aides Paul Manafort and Michael Flynn, who are formally considered subjects of the investigation." Why it matters: Kushner has his hands in everything. So even the best-case scenario is a distraction at the very top of the White House.